As a current member of the organization, AmeriCorps National Civilian Community Corps, also known as AmeriCorps NCCC. I have devoted the next 10-months of my post-graduate life to serving American communities along the East Coast. AmeriCorps NCCC is a program for 18-24 year olds that is team-oriented, National and community service in the United States. My assigned team is Delta 4, and we are a group of 8 individuals coming together from all areas of the country. We are currently traveling until May of 2019 serving in local communities and non-profits. Are mission is to serve our the community and to #GetThingsDone for America. AmeriCorps National Civilian Community Corps (NCCC) is a full-time, 10-month, residential, national service program in which 2,100 young adults - 18 to 24 years old - serve nationwide each year. The Southern Region campus in Vicksburg, Miss., is one of four regional campuses. The other campuses are located in Sacramento, Calif.; Aurora, Colo.; and Vinton, Iowa. In exchange for their service, members receive $5,920 to help pay for college or to pay back existing student loans. Other benefits include a small living allowance, room and board, leadership development, increased self-confidence, and the knowledge that, through active citizenship, people can indeed make a difference. 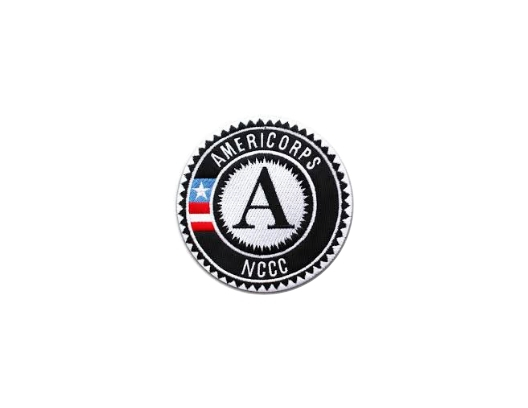 AmeriCorps NCCC is administered by the Corporation for National and Community Service. For more information about the AmeriCorps NCCC program, visit the website at www.americorps.gov/ncccand www.americorps.gov/femacorps.